admin wrote in News . BSTA and Drexel Hamilton Join Forces to Serve Veterans and the NECHV. The New England Center and Home for Veterans (NECHV) is a national leader in housing and serving Veterans who are at-risk of homelessness. 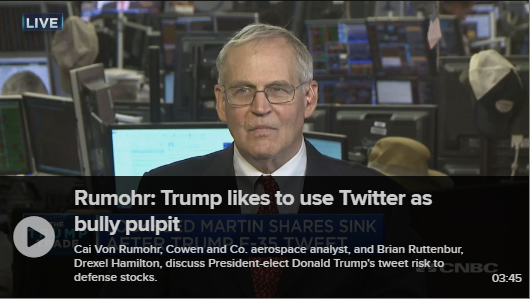 Cai Von Rumohr, Cowen and Co. aerospace analyst, and Brian Ruttenbur, Drexel Hamilton, discuss President-elect Donald Trump’s tweet risk to defense stocks. Drexel Hamilton has had quite a bit of exposure this Veteran’s Day, see what we were up to! 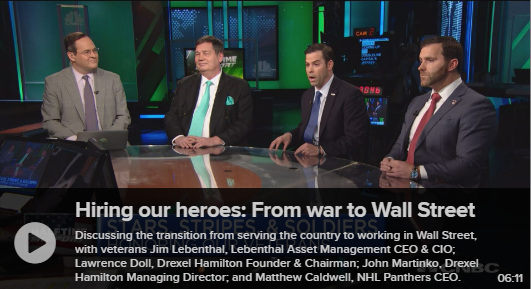 Our Veteran’s Day Call to Action Charity Event, a CNBC interview, an article in the Business Insider and a visit to NASDAQ! 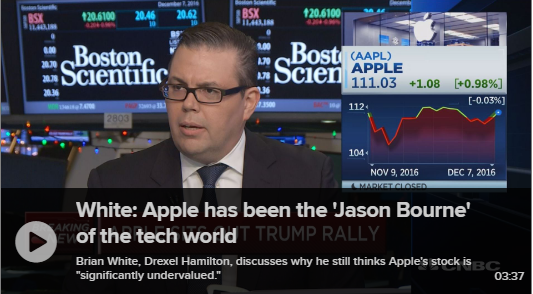 Brian White, Drexel Hamilton provides views on Apple’s quarterly results. 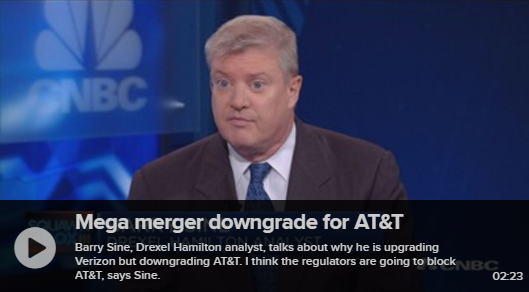 Barry Sine, Drexel Hamilton analyst, talks about why he is upgrading Verizon but downgrading AT&T. admin wrote in News, Press Releases . Veterans Day Call to Action with Donations to Support Three Veteran-Support Organizations: A service-disabled veteran-owned broker-dealer supports America’s veterans. Drexel Hamilton announces that it will host its Emerging Growth Conference for institutional investors on Thursday, December 1 in New York City. The event will take place at 77 Water Street. Apple Inc. is reportedly planning to open its first research and development center in China, allowing the tech giant to extend its reach in a vital market and maintain goodwill with the Chinese government. 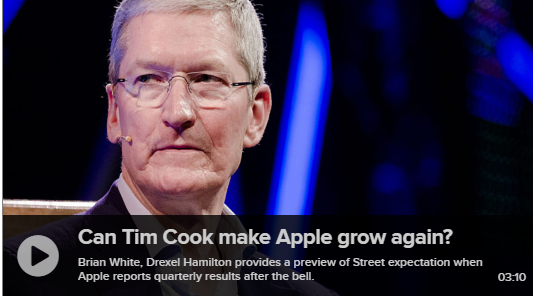 The Cupertino tech giant will eventually invest 300 million yuan, or $45 million, in the facility, which will have 500 employees, according to the state-run China Daily newspaper. Arion Williams of Drexel Hamilton has been selected to participate in the Detroit Regional Chamber’s Leadership Detroit program, a 10-month transformational leadership program designed to challenge emerging and existing community leaders from Southeast Michigan to bring about positive change.